Evangelism, "spreading the Gospel," the outreach of the Christian Church to win unbelievers. Evangelism is to be distinguished from revivalism, which refers to reviving indifferent or spiritually weakened members of the church, though in popular language in North America the term "revival" is often used indiscriminately to refer to evangelistic outreach as well. This latter confusion is due in part to the fact that at times evangelistic and revival efforts are combined in the same meeting or series of meetings in a congregation or community, and the joint effort called "revival." The problem of terminology is further confused by the fact that by the 1950s many North American Mennonite congregations in various branches have come to have an annual series of meetings of a week or two in length, to serve both of the above purposes, and also to secure conversions of their own children. The common name given to such a series of meetings was "revival meetings," although "evangelistic services" was also not infrequently used, and at times the terms were used interchangeably to refer to the same thing. Usually a preacher was called in from the outside to conduct the meetings; he was almost always called "the evangelist," not "the revivalist," although his work may have been, by nature of the local conditions, far more revivalistic than evangelistic. Some congregations tried to have their Sunday evening services of an evangelistic nature, including the preaching of an evangelistic sermon. In some congregations evangelistic appeals (by which is meant appeals for unconverted persons to accept Christ as their personal Saviour) was made in the regular Sunday morning services. Personal work by individuals who seek to win others to Christ in personal conversation was often called personal evangelism. The term was used also for literature evangelism or tract evangelism, and radio evangelism. Visitation evangelism was used for house to house solicitation of commitments to Christ and church membership. Thus the term "evangelism" was used in the 1950s for many and varied procedures, and can be used for any attempt to win men and women to Christ and church membership. The Anabaptists were originally intensely evangelistic. Their only hope of expansion was by this method. Since they controlled no political units as the Reformers did, they had to win others. However, the main reason for their strong evangelistic program, as Franklin H. Littell has clearly shown, was their acceptance of the Great Commission of Christ as their action program. Kenneth S. Latourette has pointed out that the Anabaptists were the only group in the Reformation period to carry out the Great Commission, and that the Free Churches have always been in the forefront of missionary and evangelistic action. The Reformers were not evangelistic (in the strict sense), partly because they adopted the principle of the territorial state church, and the principle that the ruler determines the religion of his people. Thus they were immobilized by political boundaries and the state church concept, whereas the Anabaptists had full mobility. The records are full of accounts of the vigorous itinerant evangelism of the early Anabaptists. The Hutterian Brethren in particular had a magnificent record, sending their missionaries all over Germany, Austria, and Switzerland, often two by two, through. out the 16th century and later. The scaffold and the stake, indeed all scenes of execution, became evangelistic platforms. The evangelistic appeal of the death of the martyr and accompanying testimonies was so attractive that at some places the authorities forbade public executions, conducting them in private to avoid the undesired effects. Many individual evangelists could be named. One of the outstanding evangelists of Holland besides Menno Simons was Leenaert Bouwens (d. 1582), who baptized 10,378 persons in many different places from Meenen to Danzig, according to his diary. The Reformers could not understand men who left their families to engage in itinerant evangelism, as many Anabaptist missioners did, and vehemently condemned them for it. Gradually, however, the persecutors won the upper hand. By countless imprisonments and executions the Anabaptist movement was throttled, and in many regions extinguished; the evangelistic fires died down. Those who were once flaming evangels and courageous missioners now became the Stillen im Lande, happy to be permitted merely to exist. In some areas the rulers permitted and even invited the Mennonite (Anabaptist) refugees to settle in their lands, with the distinct understanding that they were not to proselyte, that is, not to evangelize their neighbors. They were often not allowed to give public evidence of their presence as a religious group. They were forbidden to hold public services or to have church buildings, or if the latter were allowed, they were not to appear like religious edifices and could not have bells. In some places it was illegal for outsiders to join them. In 1780 Bishop J. Nafziger of Essingen in the Palatinate was fined 500 florins and exiled from the Palatinate because he dared to receive into his congregation two children of Mennonite parentage who wanted to return to the faith of their fathers after having been reared as Catholics. By the mid-17th century the spirit of evangelism was completely extinguished in all Mennonite groups. It remained so everywhere until late in the 19th century, and remains extinct in such groups in North America as the Old Order Amish, the Old Order Mennonites, and the Old Colony Mennonites. By the 1950s where was little of the evangelistic spirit or outreach activity among Mennonites anywhere in Europe. In the Netherlands, as also in Krefeld and Emden (Northwest Germany), there have been transfers in recent decades from the state church to the Mennonite churches, largely cases of persons of a liberal theological position seeking more congenial religious fellowship in the Mennonite brotherhood. This transfer movement can scarcely be called evangelism, however, since it is passive reception of transfers rather than aggressive solicitation of the individuals. The institution of Reiseprediger (itinerant minister), which came into the South German groups about 125 years ago and somewhat later into France, West Prussia, and Russia (both Mennonite Brethren and General Conference) and more recently into Switzerland, has not been a case of evangelism, since the Reiseprediger is in effect an itinerant pastor, visiting scattered families and seeking to provide spiritual help to members of the church, particularly those in danger of falling away. However, some of the Reiseprediger, as well as some local pastors, having secured training at St. Chrischona (Basel, Switzerland) or other Bible schools in Germany, France, and Switzerland which fostered an evangelistic spirit, brought with them something of the spirit and practice of evangelism into their Mennonite congregations. Several of them, such as Christian Schnebele and Ulrich Hirschler of South Germany, served as evangelists in such non-Mennonite organizations as the Tent Mission (Zeltmission) and the Pilgermission. Some congregations, such as Montbéliard in France and Ingolstadt in Bavaria, have conducted evangelistic services to reach their neighbors. In German-speaking areas such meetings are called Evangelisation. J. B. Muller of Toul and Pierre Widmer of Montbéliard served as evangelists for the American Mennonite mission in Belgium. According to Neff (Mennonitisches Lexikon I, 616), the outstanding South German evangelists, Elias Schrenk (d. 1911) and Jakob Vetter (d. 1919), as well as others, found entrance into Mennonite congregations in Switzerland, Württemberg, and the Palatinate. 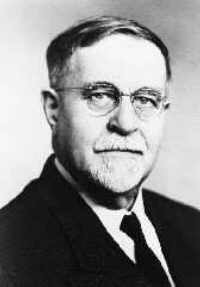 Vetter, in particular, exerted considerable influence. In Russia German Baptists and Pietists (Eduard Wüst), Moravian Brethren, and English Plymouth Brethren of the evangelistic type about the middle of the 19th century visited certain Mennonite areas and scattered the seed of the evangelistic spirit there. B. Harder of Halbstadt was the most outstanding pulpit speaker and evangelist of the Mennonite Church in Russia. Jakob Quiring (Samara, died in New York) was also an outstanding evangelist in his younger years. The Mennonite Brethren arose (1860) to a large extent as the result of the Wüst revival and naturally perpetuated it more than did the main body of Russian Mennonites. The first recorded evangelistic outreach by a Mennonite among the Russian people was that by Johann J. Wieler (1839?-89) of the Mennonite Brethren, who had a thorough knowledge of both the Russian and German languages and served as a teacher in the Halbstadt Zentralschule 1879-83. Upon leaving the school he became a Reiseprediger and worked much among the Russians. As a result he was banished from Russia and went to Rumania, where he engaged in evangelistic work, establishing a congregation and where he lost his life accidentally in 1889 at the age of 50. Another early worker among the Russians was a certain Kalweit, also M.B., the grandfather of the Adolf Reimer mentioned in the next lines. About 1906 a young Mennonite Brethren schoolteacher, Adolf Reimer, dedicated himself completely to evangelism among the Russian people. He worked intensively throughout Russia, including St. Petersburg, until his death of typhus in 1924, reaching even the circles of the pietistic nobility in St. Petersburg. He edited a Russian Abreisskalender (block devotional calendar), which had extensive circulation. A. H. Unruh, founder of the Bible school at Tchongrav (Crimea) and later for many years a teacher in the Mennonite Brethren Bible College in Winnipeg, did evangelistic work among the Russian people before 1914 and was at one time on this account imprisoned together with G. Froese, his lay coworker. The Mennonite Brethren Conference began a public mission work among the Russians about 1905, which soon had to be stopped because of opposition by the government. But regular support of evangelistic efforts among the Russians was continued privately by financial support of native Russian evangelists, a somewhat dangerous procedure. The treasurer of this secret fund was J. P. Isaak. The M.B. publishing house "Raduga" at Halbstadt promoted evangelistic effort among the Russians by the publication of evangelistic and devotional literature in the Russian language, particularly in connection with the Russian preacher Prokhanov of the Russian Evangelical group. The Mariental Mennonite Brethren Church in Alt-Samara developed direct evangelistic work among the native Russian population of its environment beginning about 1914, first in the Russian village of Koshki, where a meetinghouse was secured. Jakob Hein was a regular worker living in the village from 1917 until his death in 1921. There were converts, but the work was given up when no further regular workers could be provided. In 1920 work was begun among the Mordvins with good results. In 1924 work was begun among the Russian population in the cities of Samara and Simbirsk with excellent results. Both the above mission efforts were in operation in 1925, according to a report published in Unser Blatt in December of that year. A notable chapter in Russian Mennonite evangelism is the mission to the pagan Ostyaks in (Khants) Siberia along the Ob River in a territory beginning about 300 miles north of Tomsk. Johann J. Peters of Orenburg, a graduate of a Bible school (J. Warns) in Berlin, began the work independently in loose connection with Karl Benzien. In the spring of 1928, ten years later, it was still in operation. In the intervening period Peters was joined by other volunteer workers, most of whom settled among the Ostyaks as families and supported themselves, although there was also support from the churches. Most of the workers came from the Slavgorod settlement in Siberia. Numerous reports in Unser Blatt 1925-28 show that there were converts and that Christian communities were established. Mention should also be made of the brief activity of the Tent Evangelism work in Russia under the leadership of Jakob J. Dyck (1890-1919). Dyck, a former student in Berlin (J. Warns), while in Moscow serving as an army Red Cross worker (Sanitäter) joined a Christian Soldiers' Association (mostly Mennonites) in 1917, which was active in personal evangelistic work in the city. The association purchased a tent, and a number of members, among them Dyck, started tent evangelism among the native population in Central Russia. In June 1919, 24 men and women, most of them Mennonites, were consecrated to the work of tent evangelism in the Rückenau (Molotschna) Mennonite Brethren Church. The headquarters for the work was established at Panyutino about six miles from Losovaya. Shortly thereafter Dyck and four associates, who were conducting evangelistic meetings in Dubovka-Eichenfeld, were murdered in the attack on the village by the Makhno bandits. Jakob Kroeker (1872-1948), one of the ablest preachers produced by the Russian Mennonites (Mennonite Brethren), trained in the Baptist Seminary in Hamburg, became a Reiseprediger, traveling far and wide, cofounder of Raduga, friend of the pietistic nobility in St. Petersburg, influenced much by the German evangelist Baedeker and associates, moved to Germany in 1910, was cofounder with Pastor Jack of the mission for evangelization of Russians living in Germany and still more in Russia proper, known as Licht dem Osten (Wernigerode a.H.). This organization did a great work among the Russians by training and sending out workers, publishing a Bible concordance in Russian, as well as other religious literature, distribution of Russian Bibles, etc. Licht im Osten had many supporters among the Russian and German Mennonites, and occasional Mennonite workers, such as Jakob Dyck, continued in the service of the organization. Two factors contributed to inhibit the development of evangelism among the Mennonites of Europe: (1) the tradition of withdrawal and introversion plus a certain amount, no doubt, of inferiority feeling, the Stillen im Lande attitude, and (2) the general immobility and static condition of European religious attitudes. Because of the deeply set cultural patterns, the feeling in Europe is widespread that one is born into a religious group and ought not to change, and ought not to be solicited to change, even though the religious connections may be very tenuous and remote. Most of the population, up to 95-98 per cent, has actually been baptized into some religious confessional group. In line with this, particularly in Germany, Mennonites are inclined to look askance upon inquirers, and to discourage them from entering the Mennonite fellowship. Many such inquirers, most of them certainly sincere, approached Mennonite pastors during the time of the great postwar Mennonite relief work in Germany (1946-54) with its accompanying widespread favorable publicity, some being attracted also by the peace testimony of the relief workers. An alert evangelistic spirit might have led at least to the establishment of a number of evangelistic centers and possibly the creation of new local Mennonite fellowships. American Mennonites hesitated to step in but considered the possibility seriously when they saw that the German Mennonites for one reason or another did not move. Some contacts were actually established by MCC workers, especially with student and youth groups, such as at the University of Mainz and at the MCC centers at Frankfurt, Vienna, Salzburg, Berlin, and the Espelkamp reconstruction unit. In some places, such as Vienna, direct invitations and encouragement were given by local Protestant leaders for the establishment of permanent Mennonite work. Several representatives of the Mennonite Brethren group were sent to Europe, particularly to Germany and Austria, on evangelistic preaching missions. Mennonite Brethren churches were been established at Neuwied and Linz by the mid-1950s. The Conservative Amish Mennonites (now Conservative Conference) established a work at Espelkamp. In 1954 the Swiss Mennonite Conference, with an MCC subsidy, took over the opening established by the MCC in Vienna. Mennonite (MC) evangelistic centers have been established in Brussels and Paris, with the co-operation of the French-speaking Mennonites (a French-American advisory committee has been created), as well as in London and at Esch, Luxembourg. Incidentally, and almost by chance, a small work (MC) began at Palermo, Sicily. Plans had been considered for opening a Mennonite work in Poland as a follow-up to relief work there, but the expulsion of the Mennonite workers in May 1950 by the government negated these hopes. The full import of the evangelistic impact of the testimony of the Mennonite relief work in Europe 1946-56 remains to be seen. The Mennonite immigrants to America at all stages and locations before the coming of the Russian Mennonites 1873 ff. brought with them the Stillen im Lande spirit, happy simply to find freedom and peace. They devoted themselves vigorously and successfully to carving homes out of the wilderness and establishing traditional Mennonite congregations, but they undertook no evangelistic work among the American Indians (as did the Moravians, for instance) and did not share in the various religious awakenings and revivals from the Great Awakening of 1734-44 on down, even rejecting these influences and at times expelling those who accepted the new methods and new piety. Witness Bishop Martin Boehm of Lancaster County, Pennsylvania, who was expelled in 1770 to become a cofounder with Otterbein of the new United Brethren Church in 1803. The small group of German Pietists led by Alexander Mack, who came to Pennsylvania in 1719-22 (now called Church of the Brethren), by contrast to the Mennonites, was aggressively evangelistic, and as a result increased rapidly in membership, even winning many Mennonites. The spirit of evangelism finally penetrated the older Mennonites east of the Mississippi in the 1880's and following, coming from the outside -- largely through the aggressive work of the American Sunday School Union and the frontier evangelism of the Methodists, Baptists, United Brethren, and similar groups, with whom they often came into close contact. The evangelistic revivalism of Charles G. Finney (beginning in 1837) and more especially of D. L. Moody, 1870-1900, and his successors, had probably still greater influence. But the old inhibitions were still powerful. The tensions stirred up by the new spirit led to the schism of the Evangelical Mennonites in 1858 in Pennsylvania and the Mennonite Brethren in Christ (Evangelical Missionary Church in 1999) in 1874-75 in Indiana (Daniel Brenneman), in Ontario 1870ff. (Solomon Eby), and elsewhere. Meanwhile, in the old Mennonite Church (MC) the ferment grew, and J. S. Coffman introduced the spirit and method of evangelism (also revivalism) 1879ff. He was followed by others. A Mennonite (MC) Evangelizing Committee was organized at Elkhart, Indiana in 1882, followed by a Mennonite Evangelizing and Benevolent Board in 1892, the forerunner of the Mission Board of 1905 (Mennonite Board of Missions in 1999). City missions, beginning with Chicago in 1893, were a definite fruit of the new spirit. Evangelism was definitely established and recognized as a church function and responsibility by 1910 and came into its own in overwhelming force after World War II. In the mid 1950s this group (MC) had over 250 evangelistic mission outposts, plus additional mission Sunday schools, many in the immediate vicinity of the base congregations, others in faraway Vermont, Alabama, northern Minnesota, northern Michigan, northern Alberta, northern Ontario, and Kentucky. A similar outreach has developed in African American missions, Jewish missions, radio evangelism, colonization evangelism, and a large tract distribution program. The effectiveness of these extensive efforts remains to be seen, but they are a testimony to a widespread and powerful interest in evangelistic outreach, indicating that the group fully accepted the evangelistic responsibility and discarded the Stillen im Lande spirit. The sense of mission that was lost for almost three centuries returned. Similar developments, though not so extensive, have taken place in other North American Mennonite groups. In some groups persistence in maintaining the German language continued to be a severe practical block, as well as an internal inhibition to evangelistic advance. Distinctive patterns of Mennonite behavior and custom have often interfered with evangelistic effectiveness, at times to the great frustration of those in the front line of evangelistic effort. Actual net gains of outside converts have often been small. A striking exception to the above pattern has been the Mennonite Brethren in Christ-United Missionary Church (now Evangelical Missionary Church). Founded (1874-1883) by leaders with a strong evangelistic emphasis, such as Daniel Brenneman, Solomon Eby, and William Gehman, this group has grown largely by evangelism among non-Mennonites in all areas. This is notably true of its Michigan Conference, which in the 1950s had 2,000 members, won almost wholly in non-Mennonite territory. One of the outstanding early evangelists was Eusebius Hershey (1823-91) of Pennsylvania, who spent 43 years in evangelistic work mostly among non-Mennonites in eastern United States and Canada before going abroad as the first foreign missionary (1890) from any Mennonite group in the United States. Another was Andrew Good (1838-1918), who traveled over 200,000 miles preaching in nearly every state in the Union, also making 20 trips to Ontario. The first evangelist in Ontario was Noah Detweiler, who spent 12 years in evangelistic work in Ontario besides working in Pennsylvania and Kansas. Numerous men have served as full-time or part-time evangelists for periods of 20-40 years. The evangelistic work of this denomination has up to recent times far exceeded that of any other Mennonite group. It was the first group in North America to operate a city mission, opening its Grand Rapids, Mich., mission in 1884. All the group's city missions, over 100, were founded as evangelistic centers and have been used to build up churches from the non-Mennonite sources. A major method of evangelism used by the M.B.C.-U.M.C. group was the "camp meeting," a method taken over from the Methodists. The first such meeting was held in 1880, and every district conference of the church sponsored such a meeting annually for many years. Of the two goals of these meetings, revival and evangelism, the latter was always the predominant one. A high percentage of the members of any typical congregation in the 1950s would be found to have been converted at a camp meeting. Part of the Mennonite groups who came from Russia to the United States 1873ff. brought with them an awakened mission and evangelistic interest, resulting from their support of the Dutch Mennonite mission work in Java (now Indonesia), as well as influences from Moravian, Baptist, and pietistic sources. This, fortified in North America in the case of the General Conference group by an awakened spirit in the Oberholtzer group, the urge of the immigrant groups from the Palatinate, and the Wadsworth school, led to a strong work in 1880ff. among the American Indians in Oklahoma and Arizona (later in Montana) by the General Conference Mennonites, and by the Mennonite Brethren among the American Indians, certain Volga Russian immigrant groups in the Dakota region and elsewhere, and among the Mexicans in Texas. It did not produce a corresponding outreach in city missions or rural missions in either group. Of the smaller groups the Evangelical Mennonites, the Evangelical Mennonite Brethren, and the Krimmer Mennonite Brethren showed a strong evangelistic spirit. The Missionary Church Association which branched off from the Defenseless Mennonites in 1898 was very strongly evangelistic from the start and grew very largely by evangelism among out-group persons. After World War I, evangelistic work among the Mexicans living in the United States developed, with the Mennonite Church (MC) working in Chicago, Colorado, and Texas, the Mennonite Brethren group in Texas, and the Church of God in Christ Mennonites in Mexico and in New Mexico. The latter group also began work among the Indians in Arizona and also in Alberta. George R. Brunk II in 1966. With the evangelistic emphasis, especially in the Mennonite Brethren in Christ and Mennonite Church (MC) groups, a class of workers arose known as "evangelists." This consisted largely of preachers or pastors who gave much of their time to evangelistic meetings in Mennonite congregations, But few of these became full professional evangelists giving all their time to such work as was customary in other larger churches except in the Mennonite Brethren in Christ group. After World War II mass evangelism developed in the M.C. group -- George R. Brunk, Jr, Howard Hammer, and Myron Augsburger were outstanding in this work. This type of work is marked by the use of large tents holding 2,000-6,000 persons, and extended community-wide campaigns of 3-6 weeks in a location. It remains to be seen whether this type of work is more a revival effort among Mennonites, or a real evangelistic outreach to unbelievers. By 1956 it had remained largely the former. With the development of the evangelistic spirit and activity has often come, particularly in North America, a change in type of piety in the direction of a warmer, more expressive, more verbalized spirituality, and an emphasis upon crisis conversion, together with some change in theological emphasis in the direction of more attention upon conversion and status, rather than ethics and discipleship. These subtle changes have as yet not been fully studied nor evaluated. Influences of other kinds have also come to bear upon Mennonites of various groups, from the same sources that have brought evangelistic influences, often from the Bible institutes and Bible schools where numerous Mennonites have secured training, and which are usually quite evangelistic. This influence includes not only new methods of church work and a considerable emotionalism, but also such doctrines as eternal security, second work of grace, and millennialism. Thus the movement for evangelistic activization has been accompanied by significant side-effects and related changes. In the major groups, and some of the minor ones as well, these changes have produced a significantly different Mennonitism. Evangelism is the presentation of the good news of Jesus Christ in the power of the Holy Spirit that people may come to place their trust in God through him to serve him in the fellowship of the church and in the vocations of the common life. This free quotation from the Commission on Evangelism under Archbishop William Temple (Anglican) expresses well a definition of evangelism quite acceptable to Mennonites. With an emphasis on discipleship of Christ, an understanding that ethics is related to Christ in the same way that salvation is related to Christ, Mennonites see evangelism in a wholistic manner. This is to say, evangelism is anything or everything that makes faith in Christ possible for the person. Deed is important as well as word; both the act of love and the work of love are reconciling. As heirs of the 16th-century Anabaptists, Mennonites recognize evangelism as basic to the existence of a believers church. The 16th-century Anabaptist church was developed by evangelism, by winning people to become disciples of Christ. A believers church, by its very nature, is evangelistic, and it calls for an adult, intelligent, voluntary commitment; whether from those who grow up within the Mennonite community or those who do not. Furthermore, evangelism is not just a call to change moral patterns but is a call to follow Jesus, to confess him as Lord and Savior, knowing that in him men and women are reconciled to God and are saved from becoming what they would be without him (2 Corinthians 5:17). The presentation of the gospel, in an evangelistic sermon or a personal conversation, calls people to reconciliation in Christ (2 Corinthians 5:18-20). This means that commitment to follow Christ will change life's relationships, with God and with one's neighbor. The Anabaptist and Mennonite commitment to live by peace and work for peace is grounded in the gospel (Ephesians 2:14-18). And the Mennonite emphasis on peace, freedom justice, and community is to be heard in the context of the reconciling work of the cross (Ephesians 2:16). Evangelism has taken on a new character since the 1950s with the awareness of the "global village." Mennonites have needed to find the Spirit's guidance in contextualizing the gospel so that it is authentically understood in a particular culture; understood as the gospel and not as Western Messianic nationalism. As a consequence of contextualization, the world-wide Mennonite family, with a presence in some 70 countries, has seen new growth. While there is remarkable growth in Latin American and Asian countries (especially Indonesia), the greater numerical growth has been in Africa. By the year 2000, the majority of the one million Mennonites will not be of the Western world. And these countries of growth hold differing ideological and political positions. In the past decade, churches have also been opened in Australia and various Pacific Islands. The new face of the world reflects urbanization, the emergence of world cities with populations from one to twenty million, and the increased need for ministries of compassion in the face of injustice, inequity, poverty, and hunger. The awareness of new challenges led North American Mennonites to convene Probe '72, a Congress on Evangelism in Minneapolis; and Alive '85, a Congress on Evangelism sponsored by Mennonites and the Church of the Brethren in Denver. At the same time, different Mennonite denominations outlined goals for church growth, as seen in 1985 at Ames, Iowa, where the Mennonite Church (MC) adopted goals aimed to increase giving, plant 500 new churches, and double membership in 10 years. Also, Mennonite colleges and seminaries were developing courses for the training of leaders in evangelistic ministry. Interchurch Evangelism, organized in the early 1960s for evangelistic crusades, has sponsored several hundred ecumenical city-wide evangelistic missions in the years since. From Salt Lake City to Schenectady, these missions with Myron Augsburger and his team have helped the public to better understand the Mennonite Church and have brought many persons to the Christian faith. In 1981, InterChurch, Inc. became the sponsoring agency for the planting of a new church on Capitol Hill in Washington, D.C. The Mennonite Christian Leadership Foundation was organized in the early 1970s in the Eastern United States. its primary role has been to enable Donald Jacobs to serve globally in leadership training seminars. 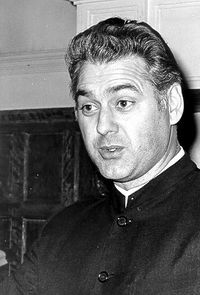 In Henderson, Nebraska, in the 1980s, Albert Epp developed the "Golden Stairways" Discipleship course to engage laity in Christian growth and evangelism. Arthur McPhee has written and conducted interdenominational seminars on "friendship evangelism." A special church planting emphasis has emerged among the Mennonite Brethren, as well as among other groups. These and other ventures are focusing attention on finding creative and contemporary ways to do evangelism in the urban context, especially in discipling young professionals. Evangelism has called Mennonites to move beyond ethnicity. This is true in global missions, in strategies of contextualization, and in the North American churches where the pluralism now includes stronger Afro-American and Hispanic associations as well as developing Native American and Asian churches. Mennonite World Conference helps churches give resources to each other in mission and helps Mennonite brothers and sisters in Christ become better acquainted. Augsburger, Myron. Evangelism as Discipling. Scottdale, PA: Herald Press, 1983. Claerbout, David. Urban Ministry. Grand Rapids: Zondervan, 1983. Costas, Orlando E. The Integrity of Mission. New York: Harper and Row, 1979. Epp, Frank H. Mennonites in Canada, 1920-1940: a People's Struggle for Survival. Toronto: MacMillan of Canada, 1982: 471-73. Die Gemeinde Christi und ihr Auftrag, Vorträge und Verhandlungen der Funften Mennonitischen Weltkonferenz. Karlsruhe, 1953, particularly pp. 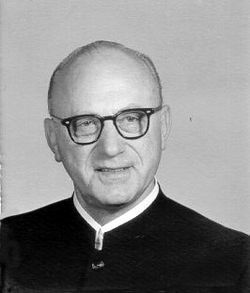 145-85, including J. R. Mumaw, "Wie treiben wir Mission und Evangelisation?" Graber, Joseph D. The Church Apostolic. Scottdale, PA: Herald Press, 1960. Hostetler, John A. "The Impact of Contemporary Mennonite Evangelistic Outreach on the Larger Society." Mennonite Quarterly Review 27 (1953): 305-30. Hostetler, John A. The Sociology of Mennonite Evangelism. Scottdale, PA, 1954. Jacobs, Donald R. Pilgrimage in Mission. Scottdale, PA: Herald Press, 1982. Kauffman, J. Howard and Leland Harder. Anabaptists Four Centuries Later: a Profile of Five Mennonite and Brethren in Christ Denominations. Scottdale, PA: Herald Press, 1975: 80, 212, index. Lederach, Paul. A Third Way. Scottdale, PA: Herald Press, 1980. Littell, Frank H. "Anabaptist Theology of Missions." Mennonite Quarterly Review 21 (1947): 5-17. Littell, Frank H. The Anabaptist View of the Church. 1952, particularly Chap. 5, "The Great Commission": 94-112. McPhee, Arthur. Friendship Evangelism. Grand Rapids: Zondervan, 1978. Newbigin, Lesslie. Foolishness to the Greeks. Grand Rapids: Eerdmans, 1986. Perkins, John. Justice for All. Regal, 1982. Shenk, Wilbert R., ed. Anabaptism and Mission. Scottdale, PA: Herald Press, 1984. Umble, John. "John S. Coffman as an Evangelist." Mennonite Quarterly Review 23 (1949): 123-46. Umble, John. "Race Prejudice an Obstacle to Evangelism in the Mennonite Church." Goshen College Record Review Supplement (September 1926): 29-132. Wagner, Peter. On the Crest of the Wave. Regal, 1983. Walker, Allen. The Whole Gospel for the Whole World. Nashville: Abingdon, 1957. Bender, Harold S. and Myron S. Augsburger. "Evangelism." Global Anabaptist Mennonite Encyclopedia Online. 1989. Web. 23 Apr 2019. http://gameo.org/index.php?title=Evangelism&oldid=162910. Bender, Harold S. and Myron S. Augsburger. (1989). Evangelism. Global Anabaptist Mennonite Encyclopedia Online. Retrieved 23 April 2019, from http://gameo.org/index.php?title=Evangelism&oldid=162910. Adapted by permission of Herald Press, Harrisonburg, Virginia, from Mennonite Encyclopedia, Vol. 2, pp. 269-273; vol. 5, pp. 283-284. All rights reserved.